We cruised down to Hollywood Chaminade-Madonna to take in the fifth edition of the R.M.F. 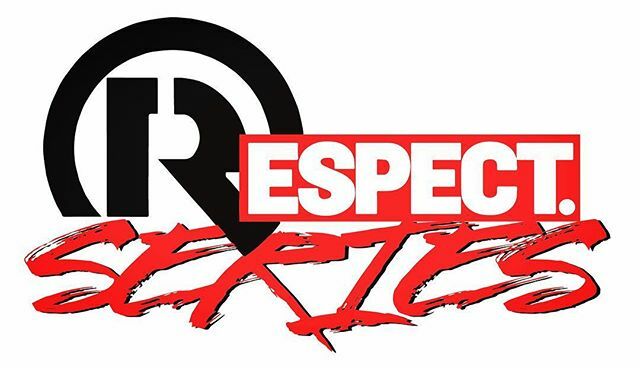 Magazine “Respect Series”. A quality precursor to the myriad of events that make up the MLK weekend, it was a good chance to see some of South Florida’s best teams and players in action. We hadn’t planned to catch this game as it started at 9:00AM. However, a tight fourth quarter was going down when we entered the gym and we are glad we caught the tail end of this contest. McArthur’s 6’4 senior guard Rahmel Davis tied the game at forty-four with a drive to send the contest into overtime. He then repeated his heroics in the first OT, hitting a three with two seconds left to tie the game at fifty-six to force a second overtime. Each team scored only two points in that second extra period, so a third overtime was necessary. Davis once again delivered, but this time it was a pass to 6’4 junior Jordan Howard for a three to win the game by the score of 64-61. A fine way to start the day! At the start of the season, the amount of talent on the Somerset roster had many thinking they could give U-School a challenge in Class 5A. However, injuries have diminished the team and on Saturday, they suited up only six players. The Colts of Coral Springs got out to a 9-2 lead midway thru the opening period. Somerset struggled to score, only managing six points total in the first quarter. But Coral Springs wasn’t setting the nets on fire either, leading just 13-6 after one quarter of play. That margin stayed pretty constant until midway thru the second period, Somerset got to within four at 19-15. However, Coral Springs finished the quarter on a 7-0 run to lead by double-digits, 26-15, at the half. Somerset did a good job in the third period just to stay within striking distance of the Colts. The margin was just twelve heading into the final period with the score 39-27. However, the lack of a bench was beginning to have an effect on Somerset. Coral Springs was able to keep their advantage in double figures the entire fourth quarter and Somerset just didn’t have enough in the tank to make one last run. Ultimately, Coral Springs prevailed by the score of 55-40. An odd side note: Only nine free throws were taken in the entire contest. It’s understandable that Somerset would be unaggressive on the defensive end due to a lack of manpower, but Coral Springs didn’t push their advantage in terms of attacking the Somerset defense. This contest started out “normal” as with four minutes left to play, STA was up a point at 6-5. Then things got crazy, as STA hit five threes to lead 21-10 after one quarter of play. That run of threes continued in the second quarter as STA hit ten threes in the contest before making a two point shot. With such torrid shooting, American simply couldn’t keept up and found itself down by a score of 45-23 at the half. In all, STA hit eleven three-point shots in the first half, six of those by 6’2 senior R.J. Taylor. The third and fourth quarters were much the same as Taylor and his teammates continued to fire away from beyond the arc and find success. Regardless of the defense American employed, STA was able to find open looks. Unofficially, STA hit a total of sixteen three-point shots (eleven by Taylor) and STA romped to an 83-55 win. This was an intriguing matchup as both teams have a quality core of young players. “The High” starts three sophomores while CSC is mostly junior-dominated. CSC would be without the services of 6’6 junior wing and top scorer Ian Tajalli, out with back stiffness. Early on, CSC had things going their way, up 6-3 midway thru the first quarter. That didn’t last as Miami exploded the remainder of the period, scoring fourteen unanswered points to lead 17-6. Miami maintained that advantage the entire second period. Charter really struggled to score without the perimeter marksmanship of Tajalli to spread the floor and open up lanes for Ivan Reynolds and company. The aforementioned Miami sophomores, 6’0 James McBride, 6’5 Justin Neely, and 6’6 Taderrius Davis found various ways to get thru the CSC defense and score near the rim. At the half, the Stingerees led 27-15. Miami High stretched their lead to sixteen points after three quarters of play at 44-28. Charter simply didn’t have the firepower to keep up and asking them to come up with a flurry of points was simply unrealistic. The “young guns” of Miami High came away with a relatively easy 57-34 win. Mater Academy, coached by the legendary Marcos “Shakey” Rodriguez, features a squad full of young talent that has people talking down south. Western features 6’6 senior Demari Monsanto, one of the top shooters and scorers in the Class of 2019. The first quarter can best be described as the “Malik & Monsanto Show”. Mater Academy’s 6’6 freshman Malik Renau was a force inside with his ability to score around the rim in a variety of ways. Any one that is a fan of “old school post moves” would have been in heaven. Monsanto was representing the new age game, dropping three-point daggers off the bounce, each one from farther out than the last. After one quarter of play, Western led 17-16. Monsanto had 11 of Western’s 17 while Renau had eight of Mater’s sixteen. In the second quarter, Western slowly stretched their lead and led by eight, 36-28, at the half. A 10-4 run by Mater over the first half of the third quarter got them back in the contest and with two minutes left in the third the score was tied at forty apiece. Mater continued to ride Renau inside while their defensive adjustments on Monsanto were effective. With one quarter to play, the score was tied at forty-two. Western led by four at 48-44 with four minutes left to play. After a break in the action, Mater unleashed a full court press. This yielded five straight points and now it was Mater with the lead at 49-48 with just under two minutes to play. Western hit a three-point play to retake the lead but Mater was able to score before the horn to send the game into overtime tied at fifty-one. In the OT, Mater grabbed a quick two possession advantage and never let go. Western hit a three with 25 seconds left to get within two at 60-58 and it looked like there might be another overtime session. However, Mater was able to hold things together at the free throw line to win by the score of 63-58. Norland led 12-4 after one quarter of play and looked like they might run away with the game. However, Suncoast was able to get things worked out and while they didn’t reduce the Norland advantage, they did play evenly with the Vikings in the second quarter. In a low scoring affair, Norland led by eight at 21-13 at the break. The Chargers of Suncoast put on a charge at the start of the third quarter. A 9-2 run made in a one-point contest at 23-22 with four minutes to play in the period. Norland composed itself and regained control of the contest, leading by five at 33-28 going into the fourth quarter. In the final period, Suncoast once again put on a spurt, this one 7-2, tying the game at thirty-five with 5:29 to play. Suncoast grabbed its first lead at 44-43 with 1:45 left to play but Norland tied the score at forty-six with thirty seconds left in the game. Neither team would score and we would get our third overtime game of the day! Norland scored the first two baskets of the overtime period and never looked back. The Vikings would go on to win by the score of 53-49. A clash between two solid teams with legitimate chances to reach Lakeland in their respective classifications, South Miami got ahead early, leading 18-13 after one quarter of play. The presence of 6’10 junior Brandon Sanders inside made it difficult for Stranahan to get shots around the rim and Stranahan’s shots were not falling over the South Miami zone. The second quarter continued to go in favor of the Cobras of South Miami. They got the margin to double-digits just before the end of the half to lead by a score of 31-21. South Miami still led by double digits after the third quarter. In the final period, Stranahan opened up with a 7-0 run to get to within five at 44-39. From there they continued to whittle away at the South Miami lead. With 1:30 left to play, the Cobras only led by three at 50-47 and the momentum had completely swung Stranahan’s way. After a pair of free throws for South Miami with under a minute to play, Stranahan’s 6’0 senior Brian Dugazon hit a three with twenty seconds left to make the score 52-50. Forced to foul, Stranahan sent South Miami to the line for a one-and-one. The front end was missed giving the Dragons a chance. An open shot from the corner failed to connect and South Miami held on for a 52-50 win. The host school came in short-handed as 6’7 senior and Georgia signee Toumani Camara was out with a groin strain while 6’8 junior Andre Weir was sidelined with a strain in his Achilles. Consequently, Chaminade was not only not at full strength but now needed contributions from players not used to filling those roles. Deerfield was able to use its superior athleticism to get out to a quick lead. The Bucks built their lead from five after one quarter of play (13-8) to thirteen (26-13) at the break. It certainly looked bleak for the host school. Momentum changed course in the third quarter as Chaminade took advantage of some complacency by Deerfield. At the end of the third quarter, Chaminade found itself within five at 34-29. They would get as close as 41-37 with 3:30 to play in the game but Deerfield closed out the final period with a 10-2 run and win by the score of 51-39.